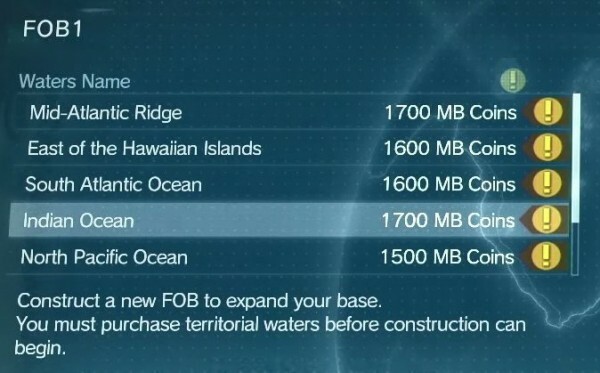 We’ve known for a while that you’d be able to buy coins to upgrade Mother Base in Metal Gear Online, but now we have a better idea of how much they cost. A post made on Metal Gear Network has revealed some of the pricing on Mother Base coins. Granted it’s not entirely clear which region these screenshots come from – my speculation would be Australia, as the prices are ending in 95 when US store prices typically end in 99. Konami have reported that these in-game transactions “primarily act as an accelerator”, but we may have to wait and see just how achievable these upgrades are without spending. 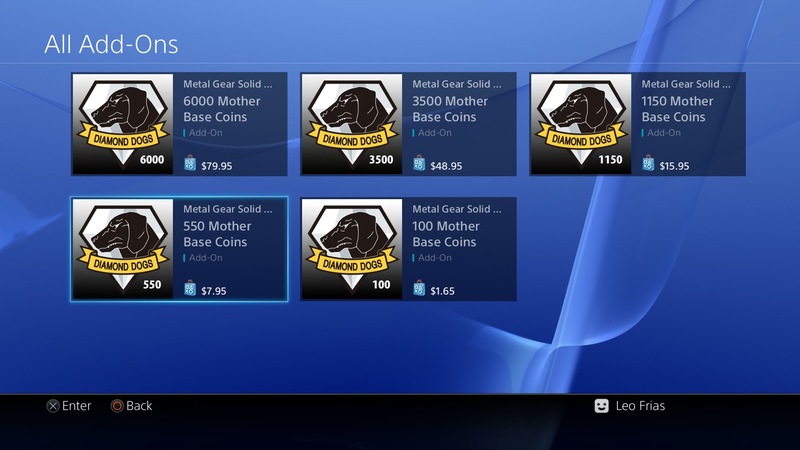 Metal Gear Online comes packaged with Metal Gear Solid 5: The Phantom Pain. The game will be available in a little over an hour from now.